Animal activists and horse lovers are criticizing the U.S. Forest Service’s plan to round up 1,000 wild horses in northern California this month, saying the animals could wind up being sold to slaughterhouses. The Forest Service cites a 2013 management plan that says the area’s approximately 4,000 horses are causing significant damage to the ecosystem and consequently to the herds themselves. According to that report, the 258,000-acre range can only viably sustain 402 horses, which can be challenging for wild horses competing for food, water and habitat. But while no injuries or deaths were reported for the 66 horses who were gathered in the Devil’s Garden Plateau Wild Horse Territory on the first day of the roundup Wednesday, critics charge that it’s only a matter of time before the wild animals are sold for slaughter. “Horses that can’t be placed through adoption, or can’t be sold with limitations will be made available for sale without limitation after a 30-day period. … There are no stipulations on the buyer in an unlimited sale,” according to a Forest Service statement provided to ABC News. 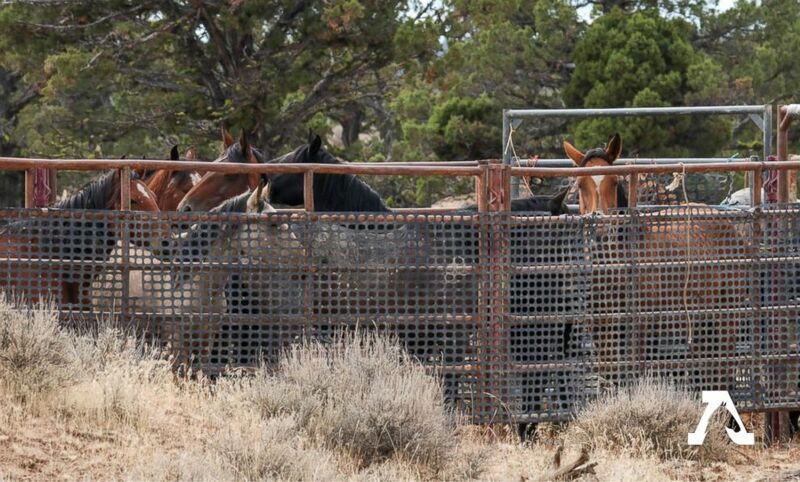 Wild horses from the Modac National Forest are seen in the U.S. Forest Service’s new holding corrals after being rounded up on Wednesday. And while the Forest Service says there are conditions that the horses cannot be used for human consumption, these horses can still be sold to a slaughterhouse. But the American Wild Horse Campaign told ABC News that since there are no slaughterhouses for horses in the U.S., a middle man called a “kill buyer” would likely purchase these animals and ship them off for slaughter to Canada or Mexico, where human consumption is legal. “The only market for horses for slaughter is for human slaughter,” explained AWHC Executive Director Suzanne Roy. California Senator Dianne Feinstein wrote the U.S. Forest Service a letter on Tuesday, expressing her concern that these horses may end up in slaughterhouses and demanding that the acting director of the federal agency “halt any sales of wild horses” until the director responded to her questions. “Can the Forest Service certify that no horses that are sold will be transferred to third-party buyers who may end up slaughtering animals for commercial use?” Feinstein asked in the letter. “When [the Forest Service] talks about environmental damage, they don’t mention one word about cattle. 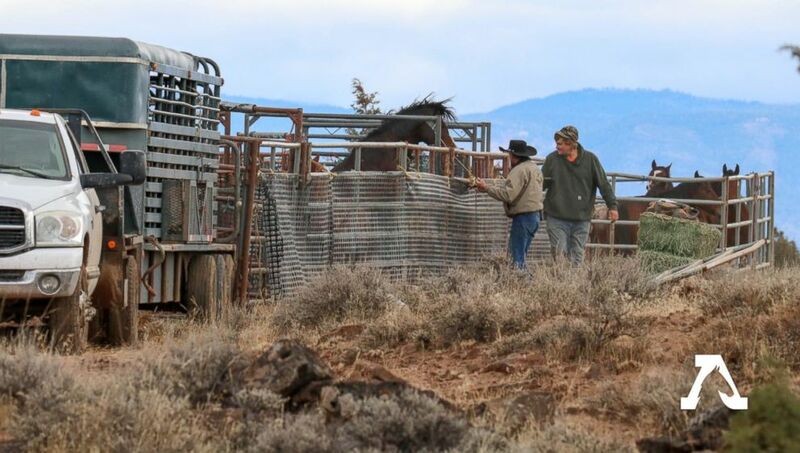 The reality is they’re removing 1,000 horses from two grazing allotments, where ranchers hold permits to graze their private livestock on public lands,” Roy told ABC News. “We think it’s wrong to round up and remove 1,000 federally protected wild horses,” so that private cattle can use these public lands, Roy said . Currently, horse populations in the area increase by about 20 percent a year. According to a 2013 National Academy of Sciences report, the management practices — in this case by the U.S. Forest Service and the Bureau of Land Management — may actually be facilitating these population growth increases. The Forest Service maintains that despite the “challenging situation,” it’s doing everything it can to ensure every single horse is adopted. “The people in this forest are really committed to these horses and everyone here is working as hard as they can to find a good home for these horses,” explained Crabtree, adding that the agency also relies on a thorough adoption process to ensure each horse will be treated humanely in its new home. A helicopter contracted by the U.S. Forest Service is seen flying while rounding up wild horses from the Modac National Forest on Wednesday. “You’re literally just flooding the market for adoption and you’re just not going to find good homes for all these horses.” Roy said. The Forest Service said it’s looking at the possibility of birth control for these horses in the future, but it first needs to reduce the population before it can make birth control a feasible option. “I mean, that’s a lot of land… so there’s some practicality issues involved,” Crabtree said. The AWHC strongly disagreed with this assessment though, telling ABC News any removal needs to be accompanied by a robust fertility control program. The wild horse advocacy group said it offered to fund and implement a pilot program using a PVP birth control vaccine that can be delivered remotely by dart or bait trapping the horses. The vaccine creates an immune response that prevents pregnancy, but does not affect their natural behavior, according to the AWHC. Prior to 2018, the Forest Service rounded up several hundred wild horses in the region two years ago, and while 150 were adopted, many of them were ultimately returned to the wild. This year though, the agency won’t be releasing horses back to their natural habitats.